There’s no doubt in anyone’s mind that Jaguar vehicles have a standard of luxury to uphold, and boy do they do it well. When you’re shopping for a Certified Pre-Owned Jaguar you don’t have to worry about whether or not the vehicle will meet your standards, you can ensure that your standards will not only be met, but exceeded as well. If you’re an Arnold driver looking for a comfortable, stylish, and high-tech vehicle, then a Certified Pre-Owned Jaguar is exactly what you’ll need. It just makes sense to go Jaguar. When compared to competing vehicles, the Jaguar will surely always find itself on top, since it has so much to offer all kinds of Baltimore drivers. 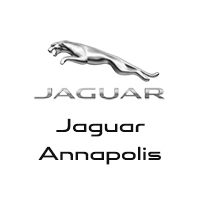 It’s time to upgrade your driving experience with a Certified Pre-Owned Jaguar from your friends at Jaguar Annapolis. When visiting our dealership you can count on our service team to make sure that we’re able to give you our best price possible and provide you with unbeatable deals.